Graves Motorsports Yamaha R6 06-14 Right Side Engine Case Cover. Graves Motorsports CNC'ed billet aluminum engine crankcase cover. 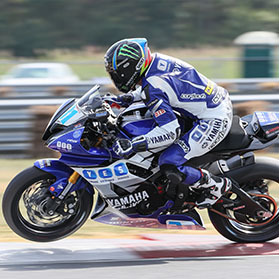 Adds protection and style to your Yamaha R6 sport bike. NOTE: Covers are now anodized black like pictured. Billet aluminum engine covers are now being mandated by many racing organizations across the USA (AMA + MRA + CCS + WERA + AFM, etc). Graves Motorsports Engine Covers are designed to help guard against leaks caused by grind through thus preventing crashes and delays from spilled oil. When protection matters, trust only Graves Motorsports Engine Covers!